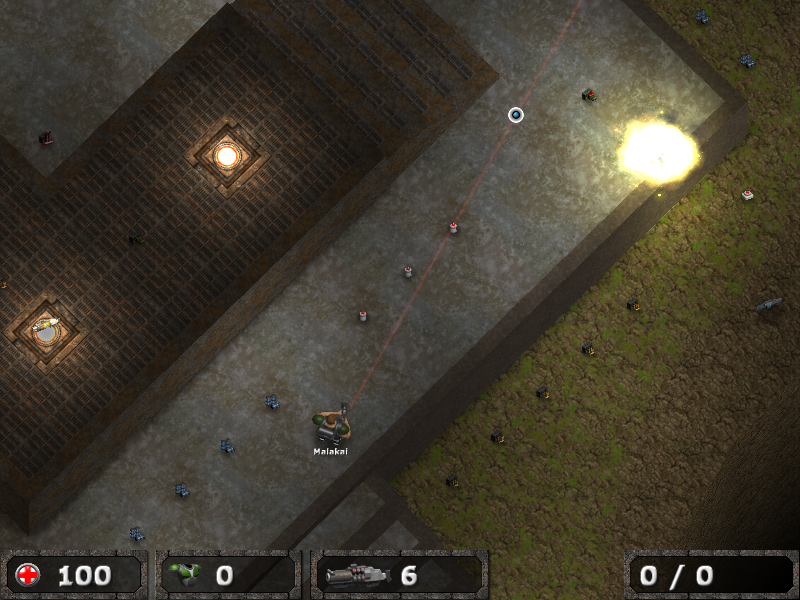 Bloodmasters is a top-down shooter with some pretty nice graphics. It includes the standard Deathmatch and Capture the Flag game modes, as well as a Scavenger mode where players need to collect certain items. One interesting feature is that although the game is from a top-down perspective, terrain can still be at different heights. The position of the mouse cursor, and not just your direction, determines which way and at what height you will shoot. The game also features a variety of weapons and power-ups. If you are looking to play this game online, unfortunately you will be hard-pressed to find active players. Unfortunately I haven't been able to play this with a significant number of players yet, so I can't give it a "real" review. However, from what I have played, it is a pretty fun game. I did run into some error messages, though, on Windows 7 64-bit. Also it is necessary to run the game as administrator or turn off UAC. The weapons in the game are pretty standard fare, except for the grenade launcher, which is the only weapon that can shoot over walls. The power-ups are pretty interesting. Setting up the game for a LAN is quite easy. You can set the common options from the GUI, and then just start the game. So far, I think that this is a solid game.